Savor our mouthwatering selection of sushi rolls at the Allegro Lobby Lounge and Sushi Bar. Our Moscow Monarch Centre Hotel is the epitome of good taste and style. Whether business or leisure brings you to Moscow, we have everything you need for your visit to go like a dream. With 12 meeting and conference halls and impeccable 5-star service as standard, we can guarantee that your event will be a roaring success. Meanwhile, our three highly rated restaurants, well-appointed health club and lavish executive lounge will have you fullly relaxed and ready to take on the world. We are near Moscow's business center and many tourist attractions, meaning we're ideally located whatever the purpose of your visit. Our Navigator Olga has the inside knowledge of all the best places to go in this ever-changing city. 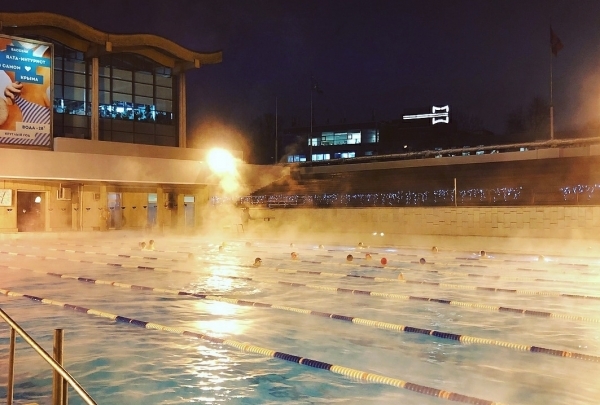 No matter what season or weather, you can enjoy swimming at Chayka Outdoor Pool. This popular open-air pool has two adult's and two children's pools with a constant temperature of +28C degrees. The biggest pool is 50 meters long. 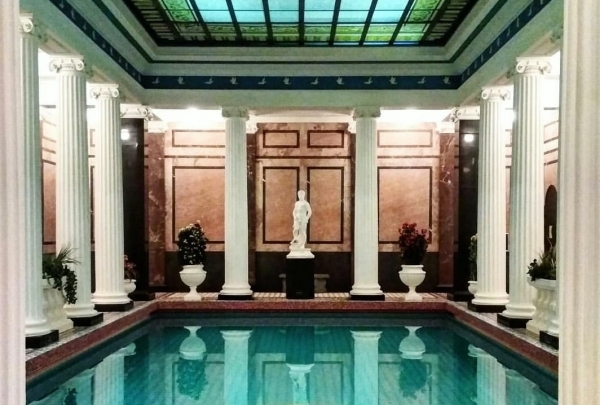 Swim comfortably in the open air regardless of rain or snow. There is a sauna complex with panoramic views of the pools, gym, work out zone, a summer playground and much more. Explore a Russian Brand of crafted knitwear suits for any weather or mood. This is a Russian brand of women's designer clothing of its own production. 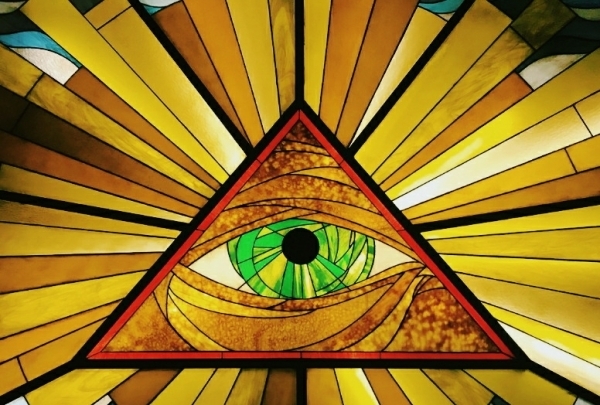 The concept of the company is to create a unique product for the Russian market. Production is focused on small lots, but a wide assortment of knitwear imitating simple or composite hand knitting. 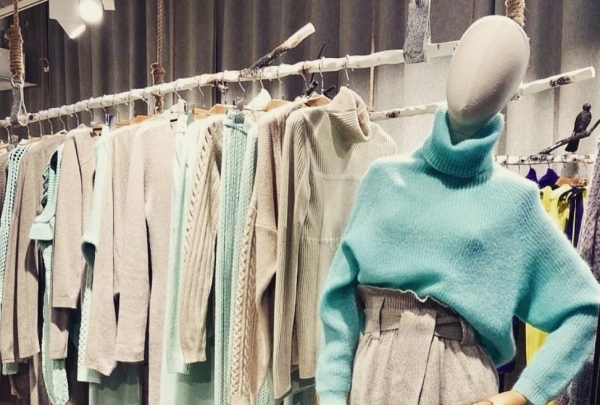 In the cozy shop, you will find woolen and cashmere coats, knitted skirts and a variety of dresses. This traditional rynok (market) from the Soviet era has been recently revamped and is now a great place to glimpse a slice of local life. Instantly recognizable by its iconic dome, this covered farmer's market is one of the best places to look for local specialties, seasonal produce and unique souvenirs. Row upon row of stalls display everything from heaps of chanterelles, artisan cheeses, homemade preserves, fresh honey, and handmade pastas to traditional earthenware and crafts. The friendly vendors lay out samples to try and are happy to explain their wares. Workshops and classes offered regularly make this a fun place to spend an afternoon for the entire family. Hungry? Stop by one of the cafes to enjoy a snack or glass of wine. 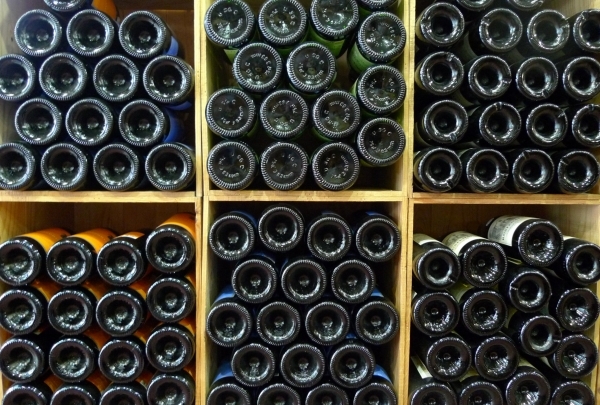 This wine store and bar has a carefully chosen selection of over 300 wines picked by master sommeliers. 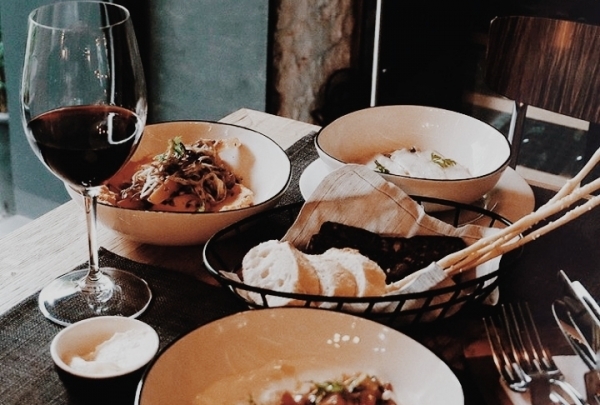 The ideal place for wine connoisseurs and newbies alike, this bar has a knowledgeable staff offering expert suggestions based on your personal preference. Mingle with fellow wine enthusiasts at one of their wine tasting events, usually on Wednesday nights. The limited seating ensures a personalized experience, and is ideal for a quiet evening of wine and conversation. 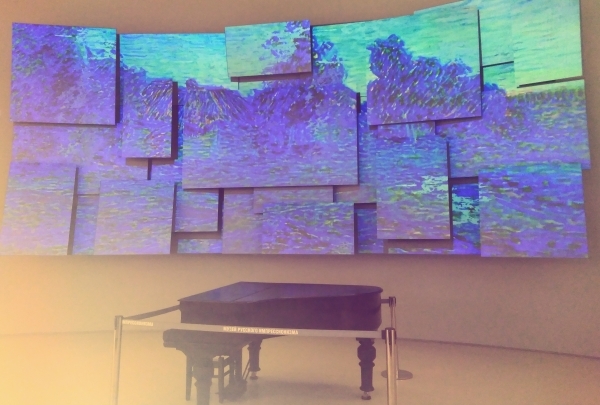 Modern cultural space dedicated to Russian impressionism in a few steps from the hotel. A small-scale but impressive museum is housed in part of the former Bolshevik chocolate factory. It comprises masterpieces of 70 artworks of notable Russian artists from the personal collection of its founder Boris Mints. There is a wide program for excursions and master classes even on finger language. 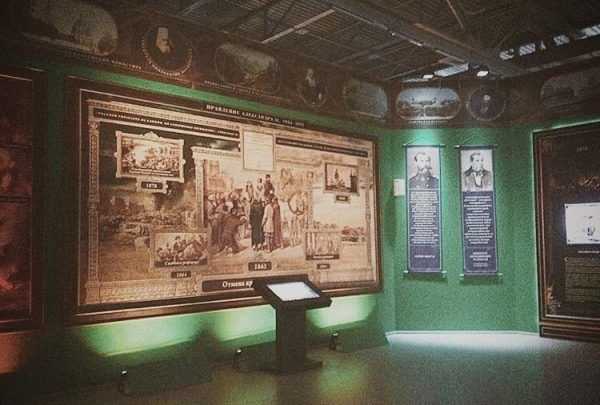 Paintings have tactile boards and specially selected flavors for visitors having a poor vision. Cozy restaurant where each guest is greeted warmly in accordance with Caucasian hospitality habits. The restaurant offers spicy-Georgian and cheesy-Abkhazian cuisine. The menu consists of popular dishes from different Caucasian regions. Must try items include Khinkali(dumplings), Khachapuri(bread cheese) and the delicious barbecue meat. As for drinks, try their famous chacha(kind of brandy) and homemade lemonade to wash away your meal. Here, twin brothers Berezutsky serve extraordinary Russian food made from the freshest products. 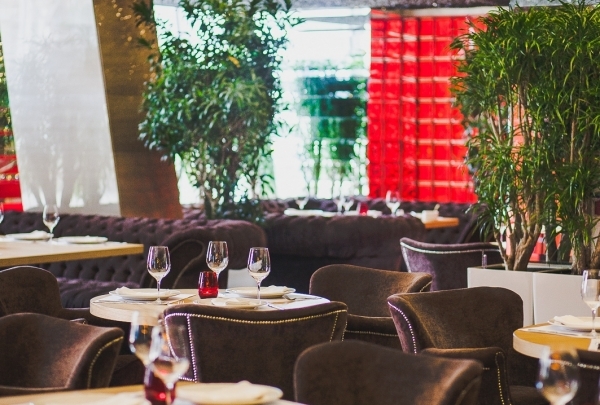 The restaurant of the twin brothers Berezutsky reflects the new heights of Russian cuisine. Most products are delivered from their own farm whole year. Dishes impress with their natural bright colors, the freshness of each ingredient, the uniqueness of the sauce, the lightness and harmony. 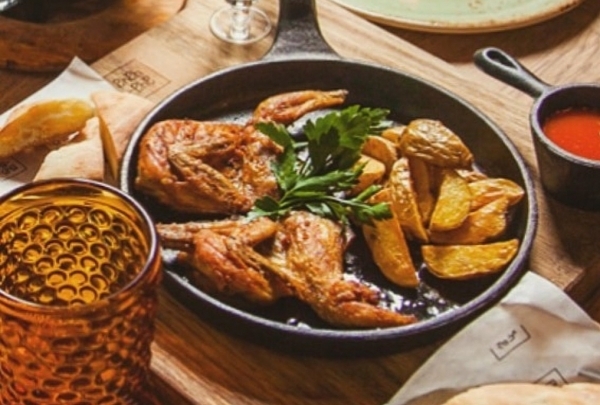 Here, modern signature dishes are prepared in a traditional Russian oven. 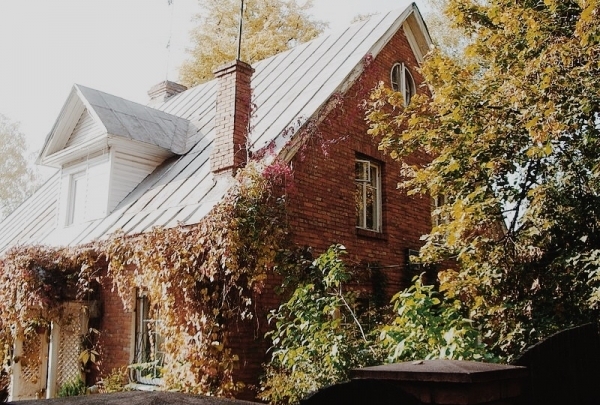 Go back to the traditional Russian house of a brilliant artist. Vasnetsov wooden house looks authentic, has a log extension-tower and decorated with a roof-barrel. The interior is simple and modest and reflect traditional Russian color. 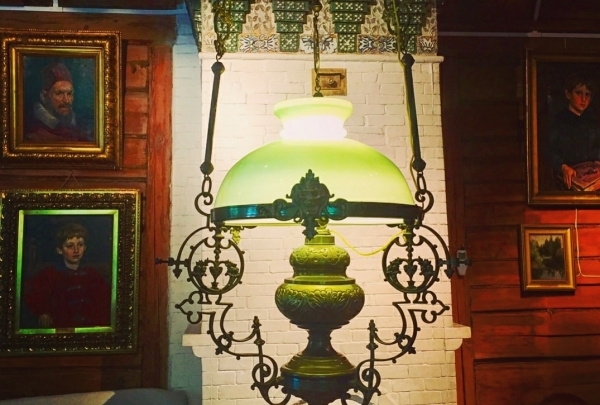 There are original household items, family icons and portraits, and wooden carved furniture desined by the artist. Lots of famous paintings on fairytales theme are presented in the spacious attic studio. phone:+7 495 681‑13 29; +7 495 957‑07 27. This loft-turned-bar features chic decor, creative drinks and exotic eats - it's the only place you'll find zebu antelope on the menu. The Duran Bar is the place to be on a Friday evening, and getting in is nearly impossible without a prior reservation. The who's who of Moscow society party here, where live music, guest DJs and perfectly-mixed drinks set the mood for a great night out. This industrial loft features immense floor-to-ceiling windows, vintage-meets-modern decor, a caviar bar, and stunning views of Moskva River. Sip on innovative cocktails crafted with the finest top-shelf liquors as you dance the night away. Come here during the day to savor a variety of carefully-plated contemporary dishes like the fondue with Black Sea shellfish or caramelized chicken liver with pears and berries. Vegans and vegetarians will appreciate the raw food options that are available. While Winil champions wines made using time-honored styles and methods, its shop fully meets the standards of the modern wine bar. Winil has an ideology and is passionate about it. 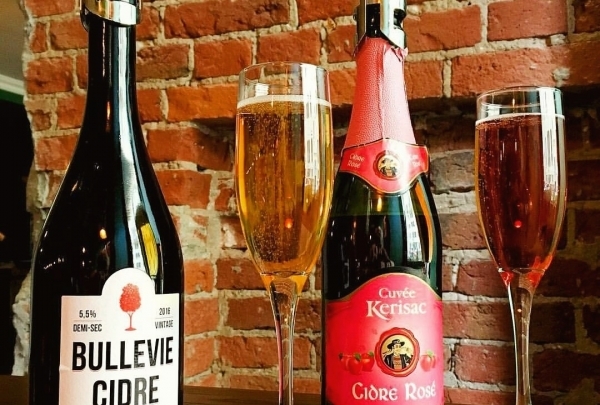 Rather than chasing modern wine trends, Winil revels in the traditional styles of German Riesling, Italian Nebbiolo, and Champagne, and carries a collection of 65 types of wine made using centuries-old methods. The interior of the wine bar and restaurant, which is right off alley Dashkova, is designed using shades and colors of darker wines. Enjoy a Burgundy with an indulgent snack like glazed bovine tongue with cream of celery in a setting perfectly fit for wine. 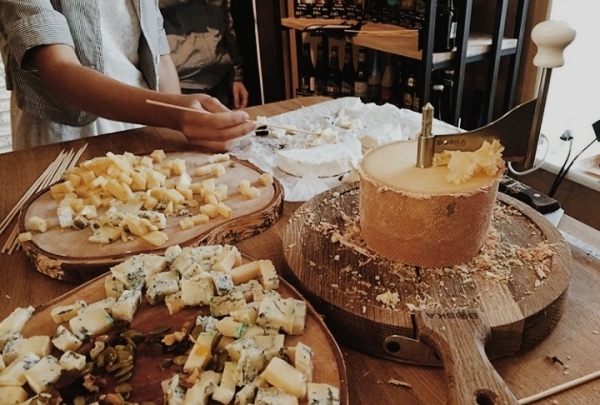 The Cheese Sommelier takes cheeses as seriously as fine wine, and specializes in cheese pairing and preparation. Alexander Krupetskii, a computer programmer turned cheese sommelier, spouts knowledge from behind the counter and in the stocked aisles of this formidable cheese shop. 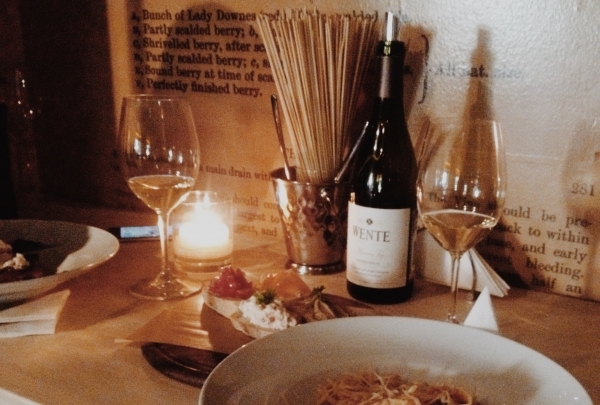 He knows the particular stories behind every cheese and what food and wine to pair with each. The collection of cheeses here is impressive, with sbrints, etives, mimolets, manchegos, rote hexes, and many others decking the shelves of the kitchen-sized store. Ever passionate, Krupetskii manages Cheese Sommelier like a proper enterprise rather than a neighborhood shop, with master classes, tastings, and preparation workshops. The best things come in small and elegant sizes in this gem of a hole-in-the-wall, independent jewelry store. Located on the second floor of an ordinary building west of Bank Moskvy, Sakharok is a miniature, finely-cut gem of a jewelry store and showroom. Despite its secluded location, the store has been very popular since it opened. 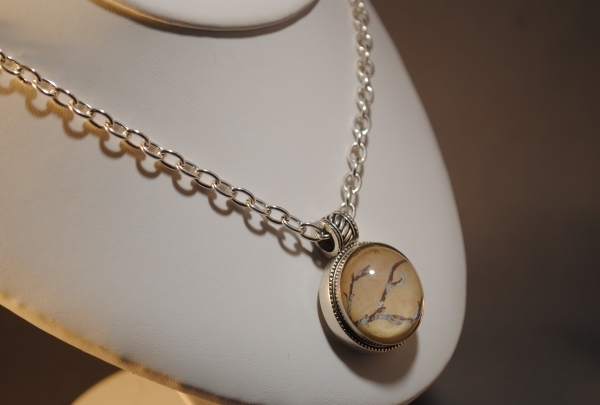 Sakharok carries jewelry from independent designers not usually found in shopping centers, and most designers are Russian, and some are local artisans. The unusual ornaments and pendants here are chosen for their simplicity, geometric beauty, and minimalism. Sakharok is a great place to find a gift and revel in its elegance. Savor creative dishes prepared with locally-sourced ingredients as you sip on craft cocktails like the Kumquatic at this chef-driven eatery. Delicatessen is cozy, quirky and deliciously off-beat. You'll find this restaurant tucked away in a quiet nook off the Garden Ring. The vintage interiors are inviting, featuring a traditional carved wooden bar, artfully-scuffed flooring and a real stone fireplace. Dine on original dishes like beef stew with Sorrento lemonade, savory french toast with rich gravy, and black lasagna with pork ear ragout and white mushrooms. The restaurant makes its own infusions, creating unusual drink combinations to surprise and intrigue the palate. The restaurant may be hard to find, but its well worth the effort for a culinary experience you won't soon forget. Stylish, upscale and original, PINCH offers visually-stunning plates that surprise your palate with fresh and unusual flavor combinations. Chef Luigi Magni channels his experience at famed restaurants like Uilliam's, and knowledge of molecular gastronomy into creating a globally-inspired modern menu. Dine on dishes like beef tartar with yuzu emulsion; smoked octopus with beetroot foam; and gnocchi, mussel and bottarga sea pearls. Get a front row seat at the chef's table, and watch first hand how each dish is prepared. Their innovative dessert menu is equally intriguing with creations that will expand your culinary boundaries; opt for the pickled red pepper dessert or the avocado cake with citrus. 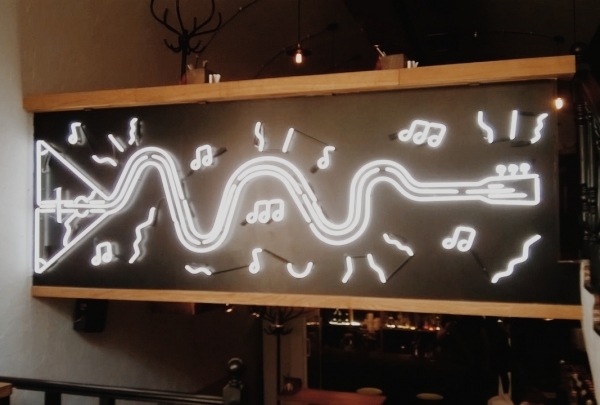 The contemporary-chic interiors feature rustic wooden tables, a neon-lit bar, and an open-floor design. This scenic garden was first commissioned in 1701 to grow medicinal herbs for hospitals. It's a great dose of nature in Moscow! This beautiful garden in Moscow has a history dating back over 300 years. It was first commissioned by Peter the Great to provide medicinal herbs to hospitals and the military. Now, the gardens provide visitors a quiet respite from the hustle and bustle of the city. 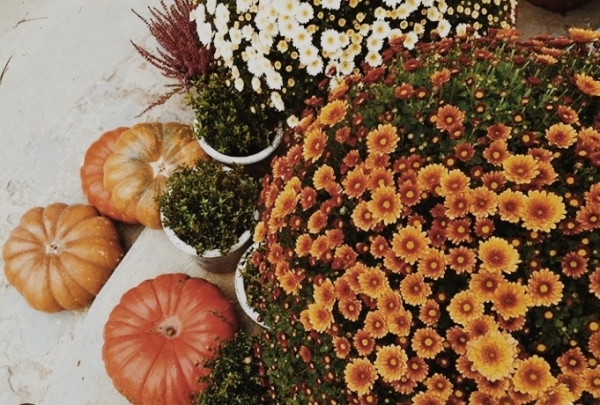 Stroll through this peaceful place and admire the many varieties of plants grown here. If you are all about mystery and intrigue, then stop by Mendeleev Bar for a taste of dark glamour and delicious cocktails. Mendeleev Bar is a speakeasy that boasts a cocktail menu courtesy of a famous Russian mixologist. 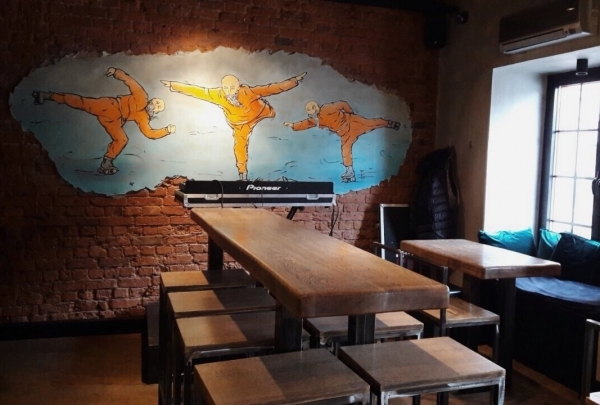 Located in a historic area of Moscow (Petrovka Street in downtown), the intrigue begins at the secret entrance, which is located in a noodle shop called “Lucky Noodles.” Inside is an extraordinarily unique basement space that boasts velvety couches and antique furniture, where you can lounge around while listening to live music. There are a plethora of signature cocktails to choose from, and the knowledgeable bartenders are happy to chat and help with your selection. 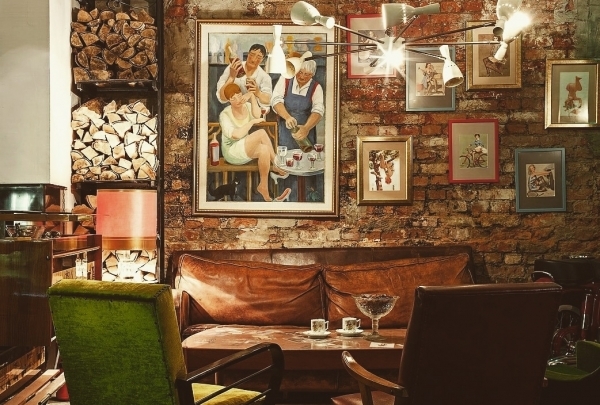 New forms of traditional Russian cuisine in an unusual interior. The new project of famous Russian designer Denis Simachev is located in few steps from Renaissance Moscow Monarch Centre hotel. The design is inspired by Andrei Tarkovsky’s Solaris. The result is a strange retro-futuristic interior with 40 thousand mobile glittering metal plates at the ceiling. 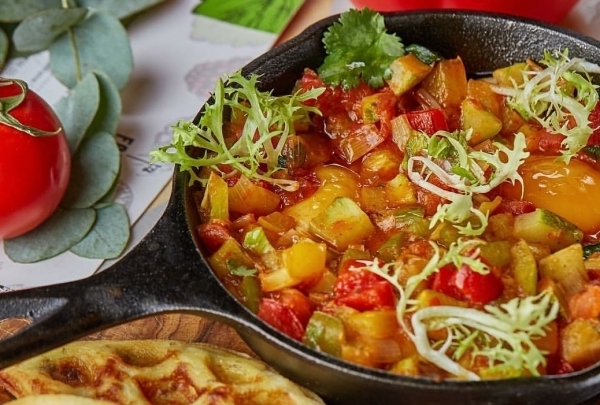 The main idea of the menu is the new look at traditional Russian dishes. Explore over a million artifacts that speak of Russia's great cultural legacy and the secrets of its monuments. A truly remarkable heritage complex, the Shchusev Museum offers in-depth insight into the awe-inspiring millennia-long legacy of the architectural history of the country. 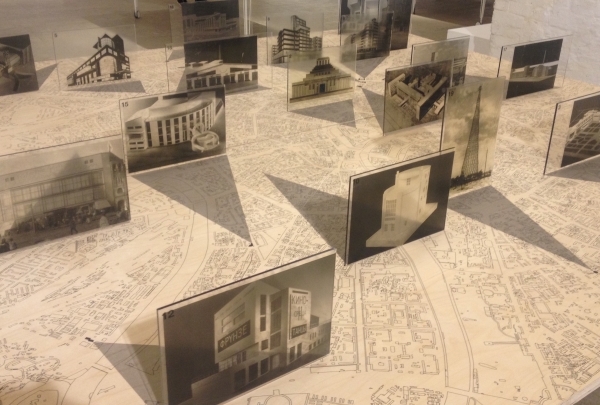 This interactive space welcomes thousands of visitors each year to explore both the past and the future architecture. Discover an eclectic array of globally-inspired dishes from celebrity chef Adrian Quetglas at this trendy eatery. 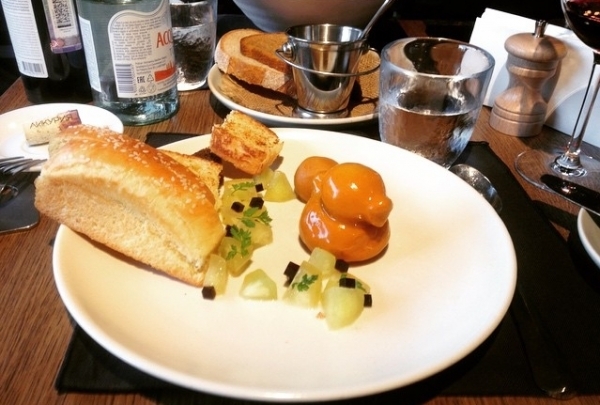 This urban bistro offers diners a truly memorable experience. The restaurant offers only creative interpretations of international culinary hits. You will have an opportunity to try an amazing risotto with salt herring, an unforgettable liver made in the form of yellow duck. Complete it with the bottle of refined wine and you will never forget this place. The world of silk and grace. Here you will find the best scarves, shawls and wraps with marvelous prints. Vodka, valenki, caviar, matreshkas – these are most expected and typical souvenirs from Russia. Want to be original and bring something unusual? 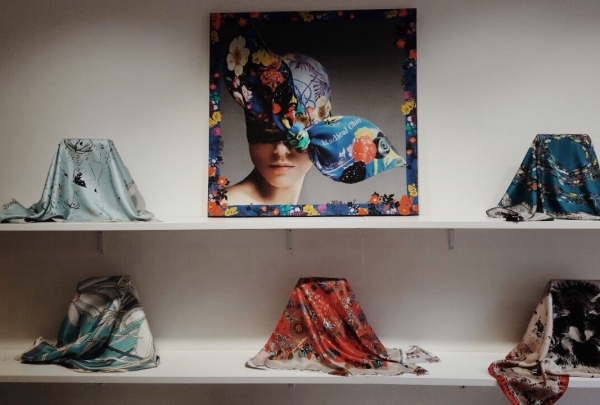 Radical Chic offers great selection of amazing silk, cashmere or linen scarves with unique prints inspired by rich traditions of our country, cultural heritage of different epochs. 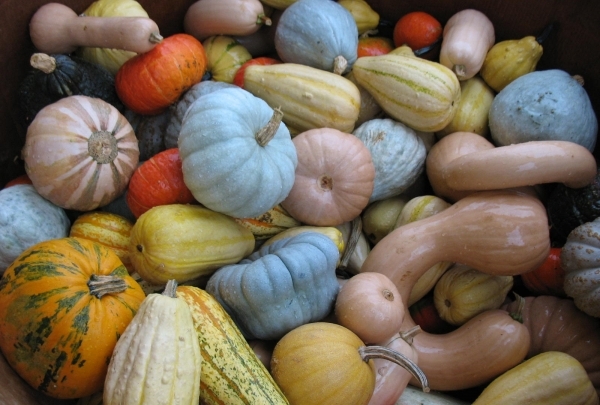 Can you imagine more than 40 types of soup? Soup-Cafe is only place in Moscow that offers such a great selection! In Russian culinary tradition soup is the most important part of lunch. If you can’t imagine your meal without portion of soup you definitely should visit this place! You will be surprised by great variety and will decide to come back to this place again and again to try all types of hot and cold, meat and vegetable, seafood and mushroom, and sweet and salty soups! Semisecret gastropub with an entrance hidden behind the wall of a travel agency serves the best cocktails in the city. Located on the site of old textile factory, this bar is unusual not only from historical point of view but also with its unique loft-style interior with red brick walls and huge windows. The genius of mixology Aleksander Kan created amazing cocktails based on vegetables with surprising presentations. The entrance is hidden, so don't forget to ask your concierge for password to get inside. Have you ever tried cakes made using traditional Soviet recipes? You definitely should! It's the real taste of Russia! This small shop with a tiny cafe is located on the site of the old confectionery factory 'Bolshevik.' The building, completed in 1884 with the first electric lights in Moscow, is a famous heritage landmark. 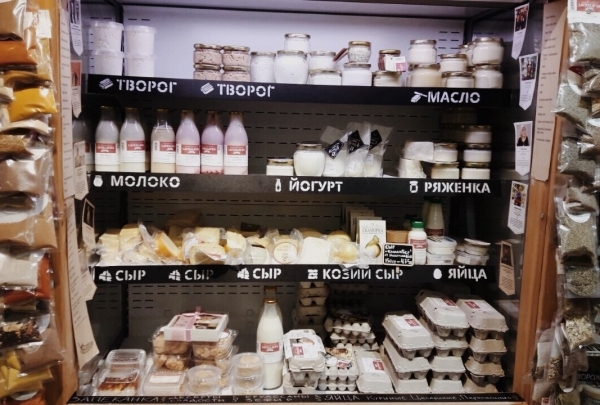 Nowadays visitors are able to buy a variety of cakes made using the classic Soviet recipes. Saleswomen are dressed in the style of the Soviet 60th and warmly greet every visitor. Cozy restaurant presents a fusion of international culinary trends interpreted by host of a famous culinary program. Restaurant is situated next to the prettiest Botanic garden in the city. 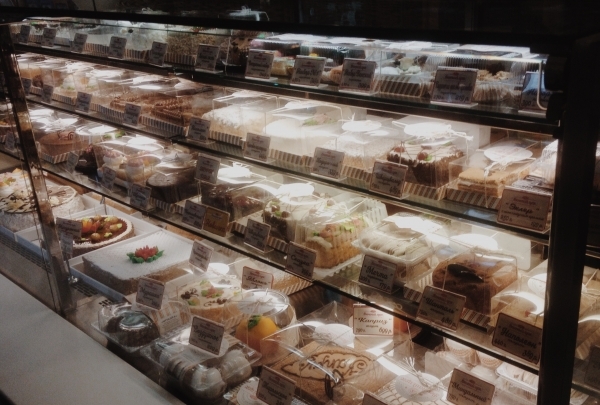 It has its own smoke-house and bakery also. The cuisine is represented by popular European,American and Asian dishes made from seasonal products. The interior is dominated by Scandinavian minimalism: wooden furniture, linen textiles and light colors. The piece of rural life in the northwest part of Moscow with special atmosphere different from the usual city routine. Looking for the best pair of shoes? Porta 9 offers the great selection of cute, delicate, crazy and elegant pairs! 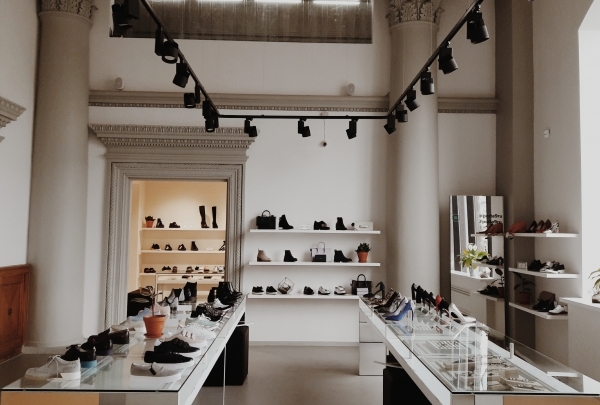 Interesting store where even the most demanding shopper will find fashionable, comfortable, high quality and absolutely unique shoes. The atmosphere of this boutique is simply amazing! Helpful and friendly staff is always glad to assist and help you make the best choice. Modern venue for entertainment and training on trampolines for everybody. Nebo Park attracts kids of all ages – from 3 to 90! 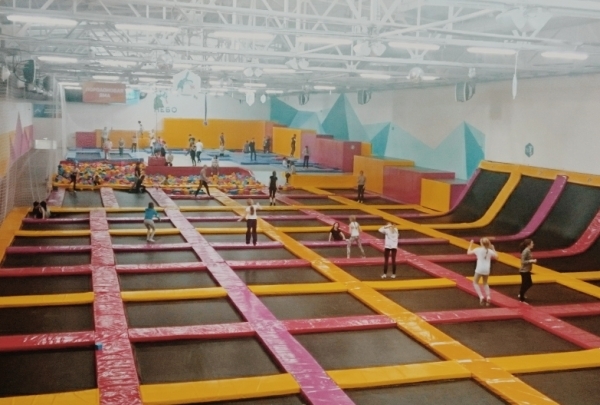 There you will find more than 100 different trampolines, a giant foam rubber pit, and a climbing wall. Please note that jumping is not as easy as it looks. However, professional coaches will be happy to help you and explain everything. Permanent grocery shop with the freshest local produce, cheeses, preserves, and meat sourced from over 100 farmers. 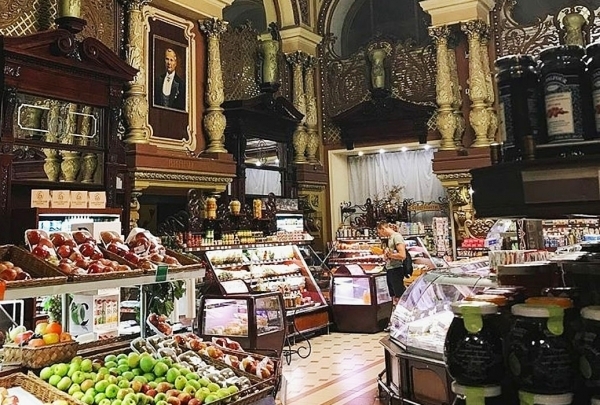 This farmer's cooperative, conveniently located in the city center, brings gastronomic traditions to life and throws the spotlight on all things Russian. 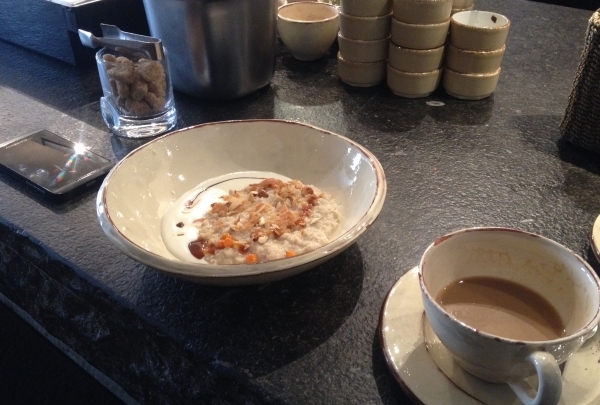 Sourced from within 300 kilometers (186 miles) of the city, all the produce is guaranteed to be sustainably produced. Discover the country's rich bounty, including ocean-fresh fish, caviar, smoked meats, grass-reared beef, and more. Try the best Russian cuisine in this cozy retreat with a most Russian name. This is a small restaurant where every guest is warmly welcomed. 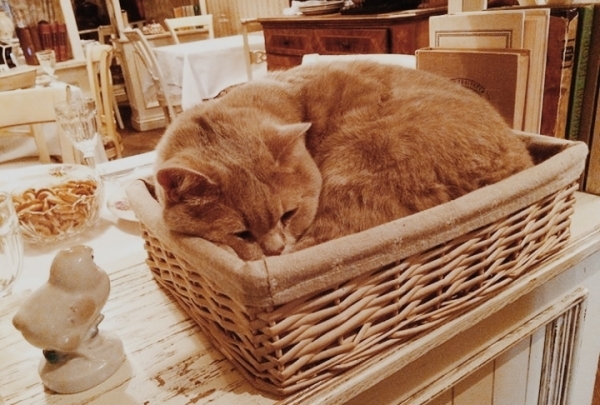 The atmosphere is warm and includes old-fashion furniture, pleasant music, and two cats; it will bring you back to the sunny days of your childhood and to the home of your beloved grandma. The menu offers traditional Russian dishes served on the finest china and table linens. Great choice of beautiful samovars and other Russian goods. 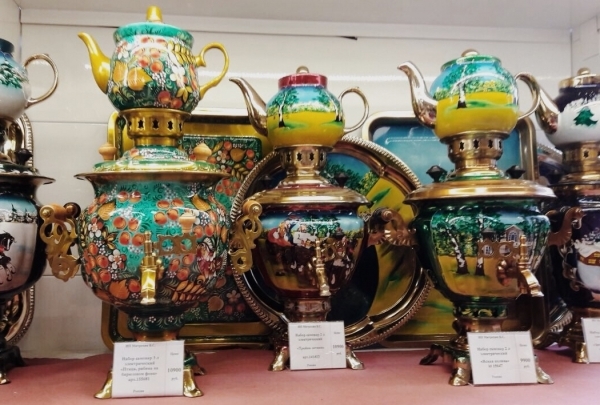 Russian souvenirs for any taste – from traditional wooden dolls (matryoshkas) to marvelous porcelain, as well as painted plates and dishes, colorful pavloposadskie and orenburskie shawls. A courteous and polite staff will kindly assist you to find out the best traditional souvenirs from Moscow. Quite small and very atmospheric cocktail bar with Korean food is hidden in one of the lanes next to Patriarch’s Ponds. This cozy place, named after famous Hollywood actor Keanu Reeves, will surprise you by its bar list. There are no typical beverages (no wine, whiskey and even vodka), only unusual mixes made by their professional bartender’s team. It's the best place to start the hangout night in the area of Patriarch’s Ponds. This is the perfect place for get-togethers with friends over a glass of good wine. If your knowledge about wine is lacking, this is a great place to get a wine education. 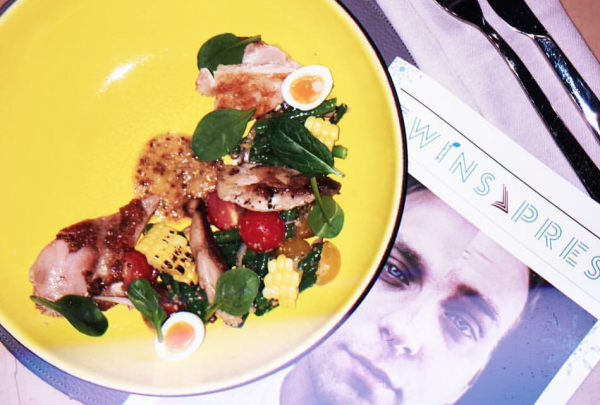 This bar with a stylish interior serves simple but tasty signature dishes. There are more than 250 labels of wine from the Old and the New World as well as Russian wines. You can buy wine by the glass, but when the wine and ambience are this good most settle down for the evening over a bottle. This incredible bar offers homemade tinctures with absolutely unexpected ingredients. Balalaika is a Russian musical instrument, and here a whole wall is dedicated to varieties of this instrument. The unique thing about this bar is their homemade tinctures, including some vodka-based ones with wasabi, orange, coffee, grapefruit and cinnamon. If you went too far with alcohol yesterday, their signature soup “Hangover” will bring you back to life. Visit a surreal museum dedicated to Burganov, whose fairytale-like sculptures are the main gems of famous Arbat Street. This museum is dedicated to the work of artist Alexander Burganov. The museum is always changing, and the main outdoor area holds everything from a Pushkin bust to massive, tangled sculptures. 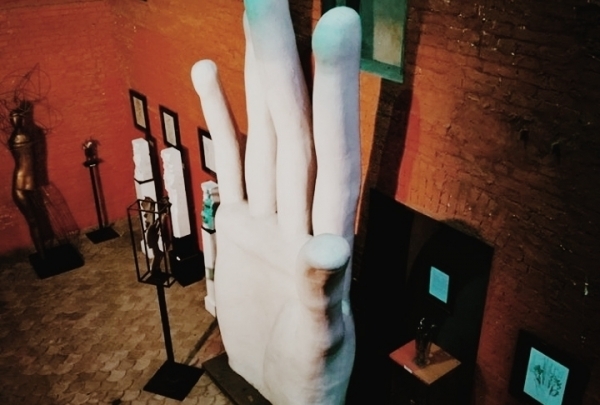 Each piece is unique, and some of the more unusual sculptures test the boundaries of traditional art, promising something for everyone. Find genuine masterpieces of Russian cuisine at an elegant restaurant at the Central House of Writers. This snow-white landmark on Povarskaya Street is an architectural symbol of revival in the modern megapolis. Take a trip to the past here, recollecting balls filled with graceful ladies and noble gentlemen like you've read about in books. 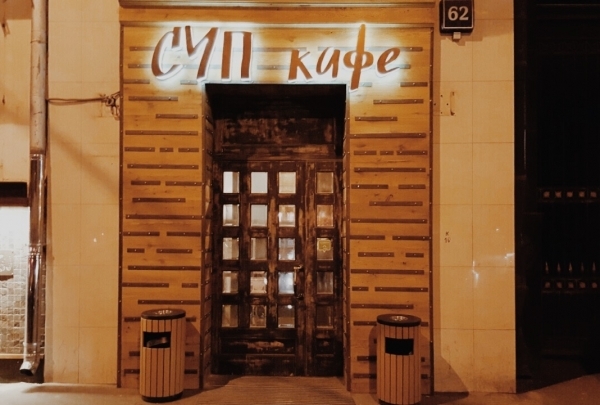 Welcome to C.D.L., a restaurant that offers not only gorgeous Russian cuisine but also a true legend that has outlived a change of epochs and generations! 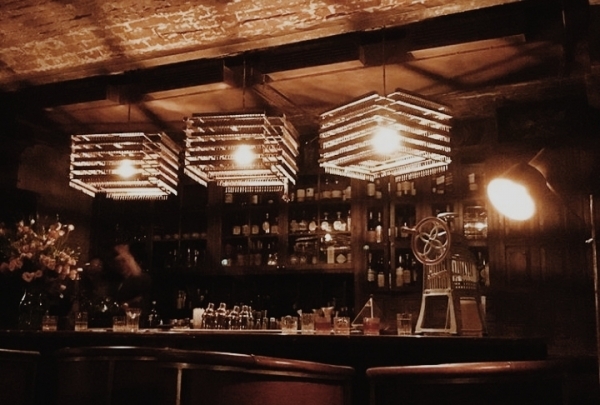 Try this intimate, semi-secret speakeasy for delicious, experimental cocktails. Hidden behind a "staff only" sign under the restaurant Tehnikum, this speakeasy boasts some of the best bartenders around. 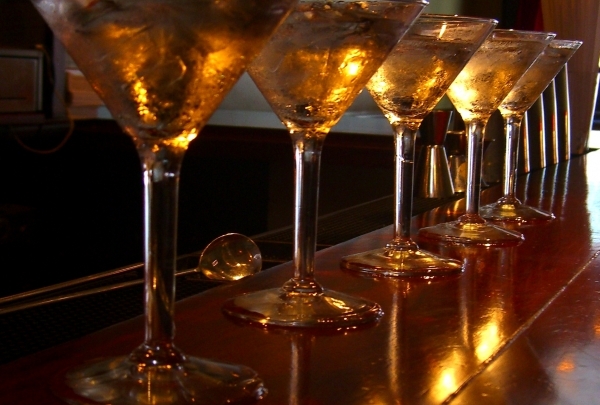 Get great cocktails and enjoy a warm ambience characterized by low lighting and soft voices. Korobok is the perfect place to wind down after a crazy night. 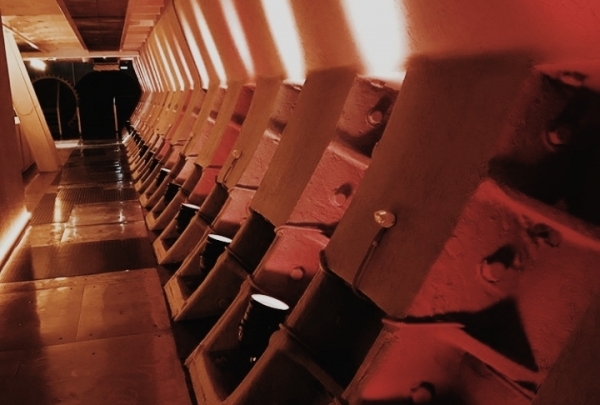 Welcome to Bunker-42, the only museum on the Cold War in the world and the first antinuclear bunker in the post-Soviet. This anti-nuclear place of concealment for the first persons of the USSR was built by Stalin in the heart of Moscow, close to Kremlin. Now it's the object of great historical value! Every day people go down 65 meters to get in touch with the epoch when the world was on the brink of nuclear war. Find the courage and visit one of the most secret places in the world. Discover the remarkable world of "White Gold" from Russia! Find here the best porcelain gifts for yourself and friends. Founded in 1744 in Saint Petersburg, The Imperial Porcelain Factory is now an integral part of Russian history. It is not only the store that is of importance but also the museum, which offers an incredible story about porcelain. 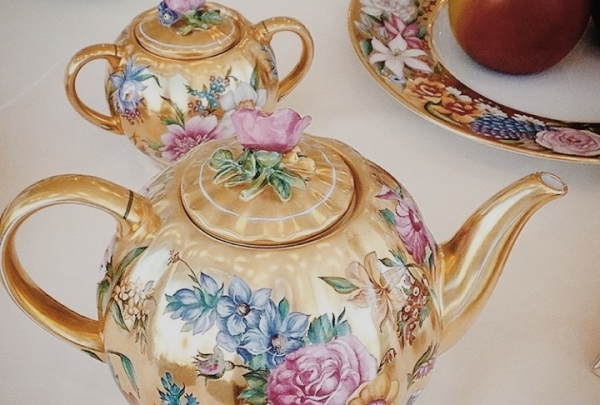 Bring home some locally made and world-renowned porcelain from Russia and surprise everybody. 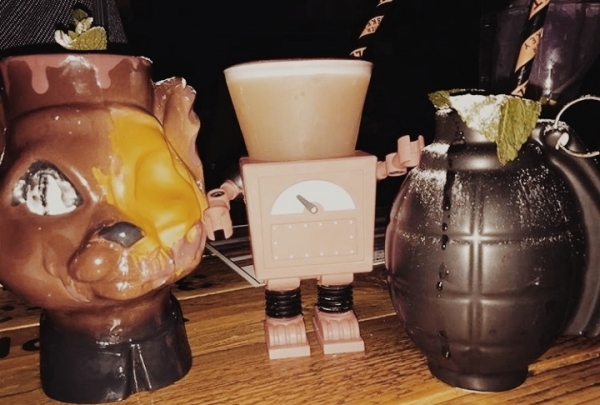 This mysterious bar is located in a hidden alchemist's bunker. Enjoy cocktails off a menu modeled on the periodic table. Finding this bar is a fun journey in and of itself! It sits behind an iron door in a hidden Moscow courtyard. Once inside the building, patrons must search the paintings in the corridor for the secret entry button. The bar itself bright flashing lights, a menu in the form of Mendeleev's table, staff dressed in white robes, and creative cocktails. Stop by for experimental! Solve the mystery of local history from the period of Tsarist Russia to the Great Patriotic War. Among great number of VDNH thematic pavilions built in classical style of Stalin's Empire, this colorful modern building will definitely catch your attention. It is a contemporary museum, which gives a chance to learn basis about Russian history and it's rulers within only 2 hours. Animated maps, thematic movies, impressive zoning system - everything is "under one roof" here. Erwin's perfectly fresh fish and seafood, breathtaking city views, and brilliant service make evert visit unforgettable. This is one of the largest fish restaurants located on the banks of the Moscow River. 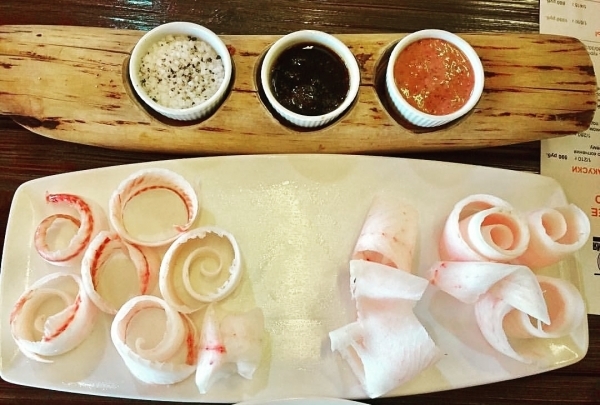 Most of their fish and seafood is sourced from Russian rivers and seas. 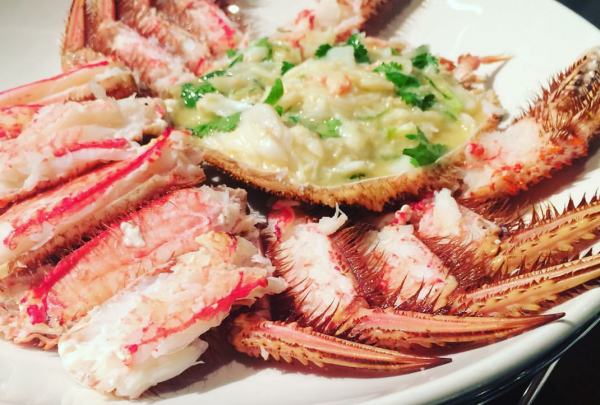 The trump card of the menu is section "CrabCrayfishShrimp". Combine a great dinner with a refreshing river walk on the board of the luxury Radisson Royal yacht, which is a branch of the restaurant. 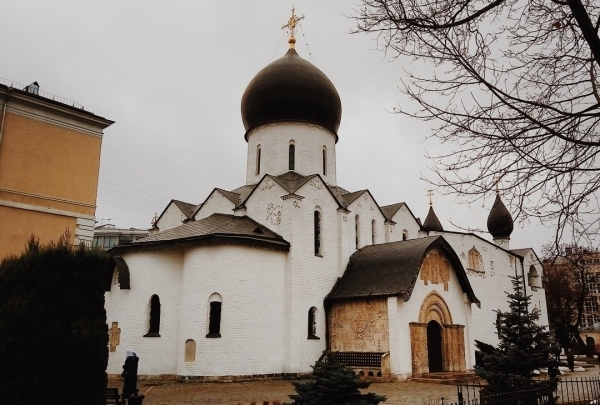 Get away from the bustle of everyday life in this peaceful site of Orthodox Christianity. Hidden in the very heart of Moscow, Marfo-Mariinsky Convent represents outstanding Russian Revival style church. This religious community was established by the Grand Duchess Elizaveta Fedorovna in 1909. Since its inception, the nuns here have devoted their lives both to serving God and assisting the needy. The only Jewish bar in the city. Kosher food and non-trivial cocktails are already waiting for you. Israel island with an authentic atmosphere is hidden in the cellar on Pyatnitskaya Street. 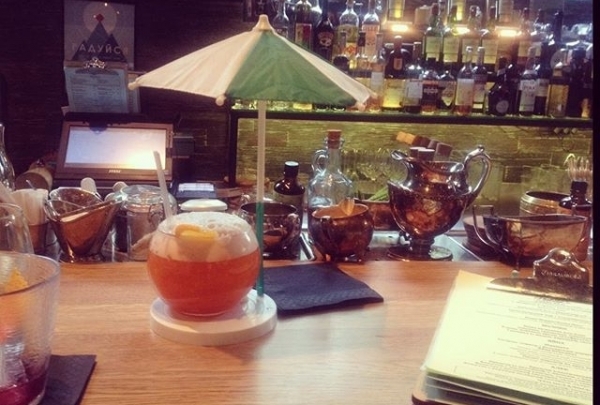 Cocktails and cocktail culture is the main focus of this bar. 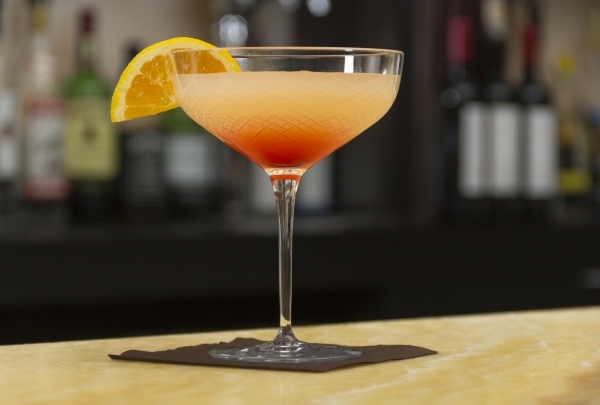 The bartenders' team prepares around two hundred different drinks, including classics. There is no bar card here. After few words, the bartender will mix something special for you. Chef Marc Tov cooks delectable Israeli food in his kitchen. This stylish steakhouse serving signature burgers is situated in the picturesque area of Patriarshy ponds. 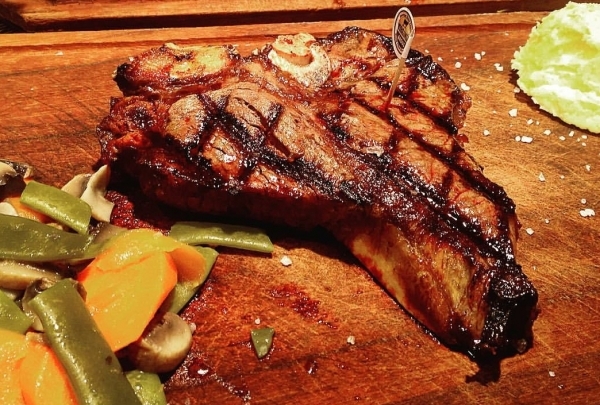 Their marble beef is imported from varied countries and it's seasoned using a special set of spices and salt. Steaks are served with over 12 kinds of mashed potatoes including gorgonzola, bacon chips, wasabi, black caviar and truffles etc. Legendary Russian watch brands like Aviator, Buran, Sturmanskie can be found here. Classics will always be a trend. 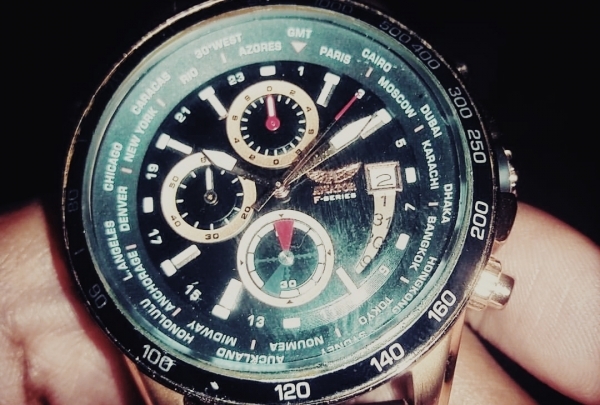 Watches have always been part of a person's image. If you are in search of a worthy gift from Russia visit the official store of the best manufacturer of Russian watches, which presents legendary brands - Romanoff, Vostok Europ, Polet, Aviator, and others. Many of their pieces are created for pilots, some of them dedicated to Russian best combat fighter-bombers and aviators-pioneers. Delight yourself with exquisite dishes where the main ingredient is a homemade cheese. 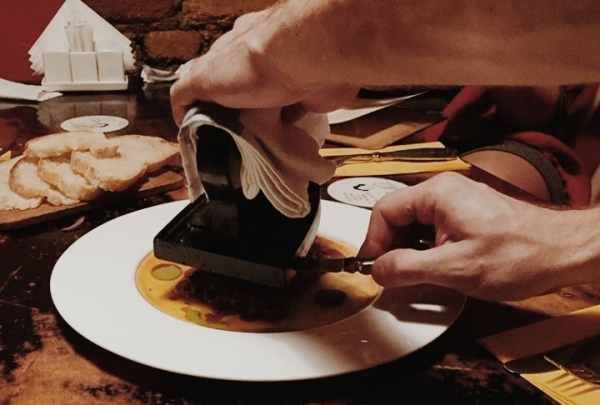 A unique restaurant has its own cheese production, offers European and Authors cuisine. The menu is based on variety of cheese and a wide selection of wine. 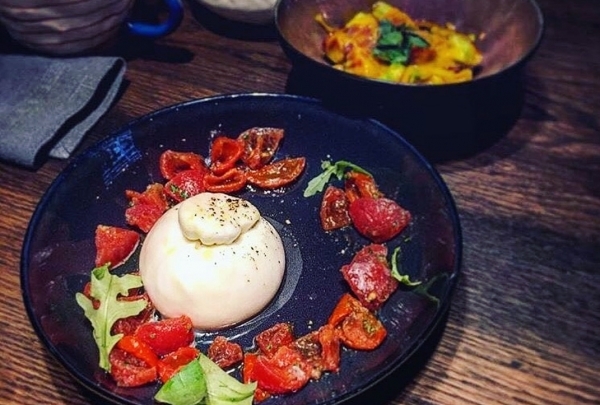 The pride of the restaurant is homemade burrata with different stuffing such as a crab with dried tomatoes, a red caviar, figs and pine nuts etc. 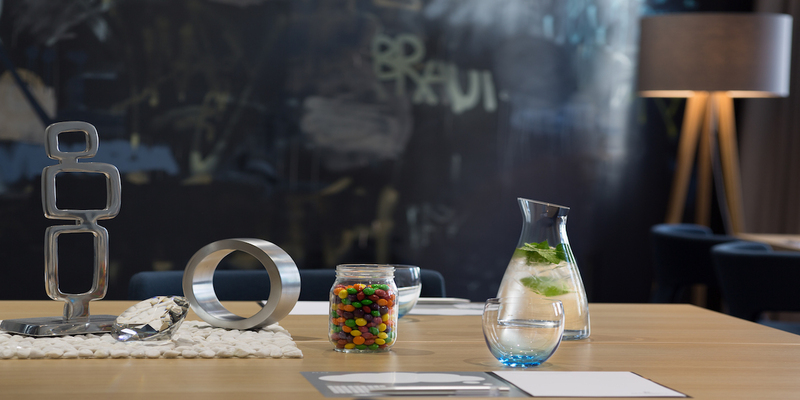 The interior is laconic and built on contrasts, let's you focus on food. More than just a grocery store, but a historical and cultural monument that is a Russian baroque jewel. The only grocery store with such a rich interiors and bright history. 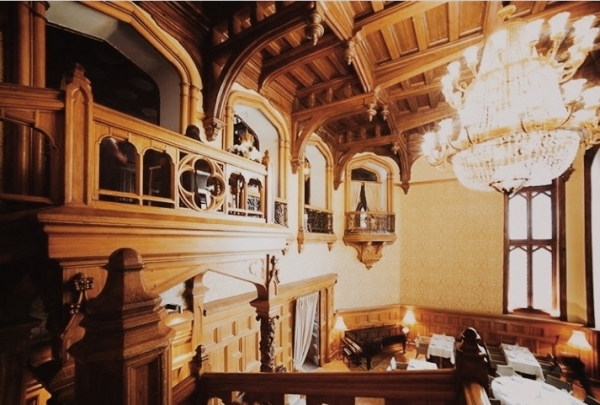 Eliseevskiy is decorated with gild ornaments, fretworks, portraits, and wicker chandeliers with crystal grapes. Even now Eliseevskiy keeps centuries-old traditions providing a high service; a vast assortment of russian and overseas delicacies; an own meals' production for any taste.